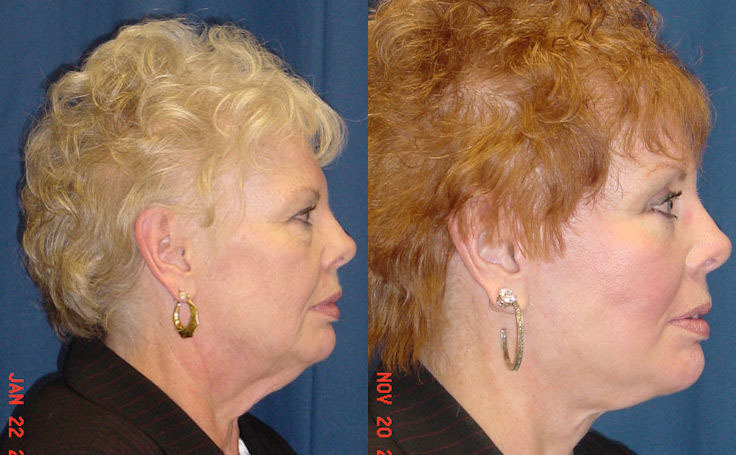 This patient had a Total Facelift performed by Dr. Ricardo Rodriguez in Baltimore. This included a Brow Lift, Mid Facelift and the Lower Facelift. The procedure is performed in one operative session and takes approximately 8 hours. It is performed under IV anesthesia. The Brow Lift refreshed her upper eyes and eliminated the tired look. 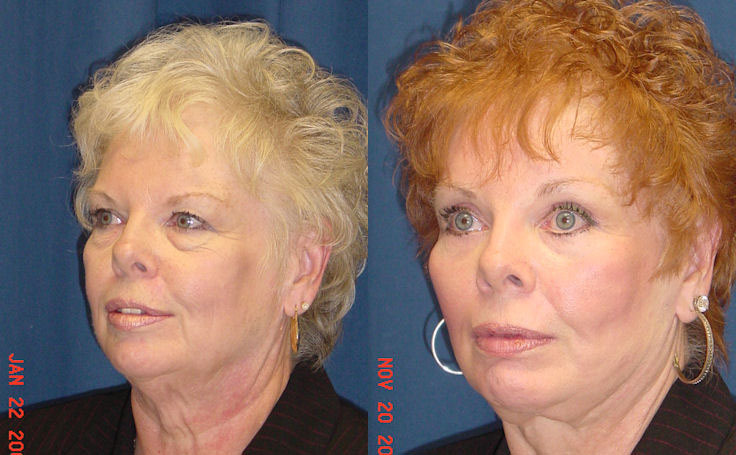 The Mid Facelift and Lower Facelift lifted tissue to restore them to their youthful position. The patient was very happy with the final surgical result.